GV After Dark September is Firing Up! If you want to satisfy your urge to dance, sing, drink and get lucky, Thursday GV After Dark party nights are it! Nadia will give away prizes courtesy of Tribal Travel Australia www.tribaltravelaustralia.com.au and you can receive free meals, drinks, promos and giveaways, but you’ve got to get in early or you’ll miss out! Come and try Ancient Korean Martial Arts tomorrow. 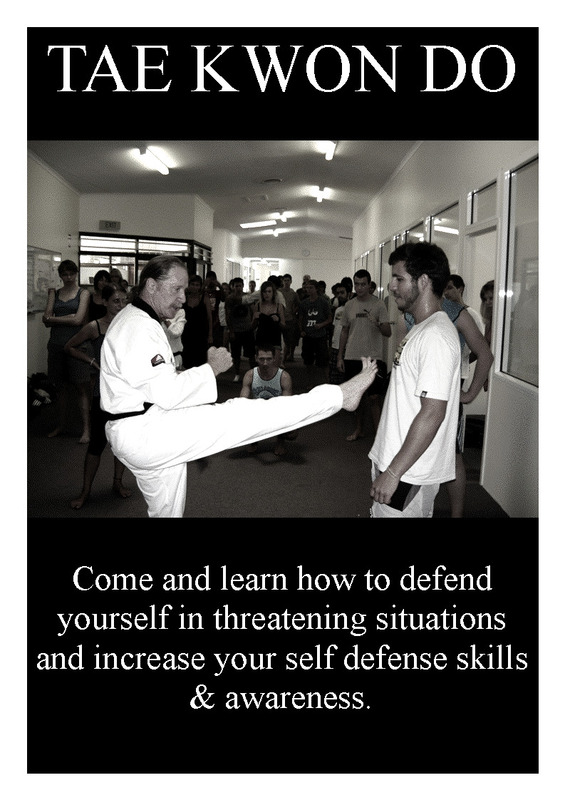 Korean student Dennis and his master, Chris Blight from Noosa, will be demonstrating Tae Kwon Do and they will be looking for people they can defend against. This activity is particularly good for women who are looking to increase their self-defense techniques in case of any threatening situations they may encounter. Chris and Dennis can show you simple ways to get yourself quickly out of trouble. Keep an eye out for the prizes you could win this month courtesy of Tribal Travel! If you sign on and participate in the monthly activities you could win a Hervey Bay Whale Watching Tour, Surf Lesson, an Underwater Wonders Weekend Package, Mountain Bike Tour, a Dolphins at Rainbow Weekend Package, Hinterland Tour & Surf Package, Australia Zoo Passes, a Noosa Ferry Ride, plus more! 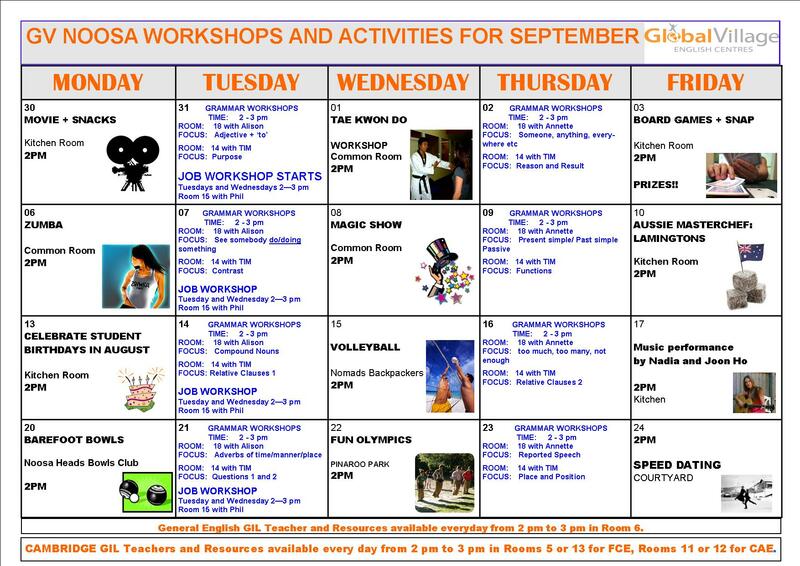 All you need to do is be at the fun activities Nadia has organised for you from 2-3pm on Monday’s, Wednesday’s and Friday’s this month. There is lots to give away, so be there or be square! It’s an exciting month for activities. One of our Korean students Dennis will be demonstrating and inviting you to participate in. Sean will be up to his same old tricks. Nadia will be performing songs and Joon Ho form Korea will delight you with his heavy metal guitar techniques. It’s a day off on Friday the 10th for the Noosa show, so don’t come to school that day. The Noosa Triathlon is on again! Be humiliated as Olympic athletes streak past you on the way to the finish line….. 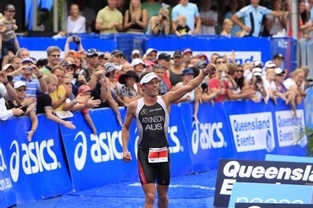 The Noosa Triathlon is one of the leading events on the Australian sports calendar. It is one of the few events that allow amateur athletes and world champions to compete in the same race. You have until October 30th to get in shape! Why not join the other 8,500 competitors in challenging yourself in this great race? I noticed that Canteen (opposite to KFC on Sunshine Beach Rd) are advertising for a Kitchen Hand. Why not drop a resume in? It’s a great little cafe to work at. TRAVEL TIP FOR THE WEEK………. 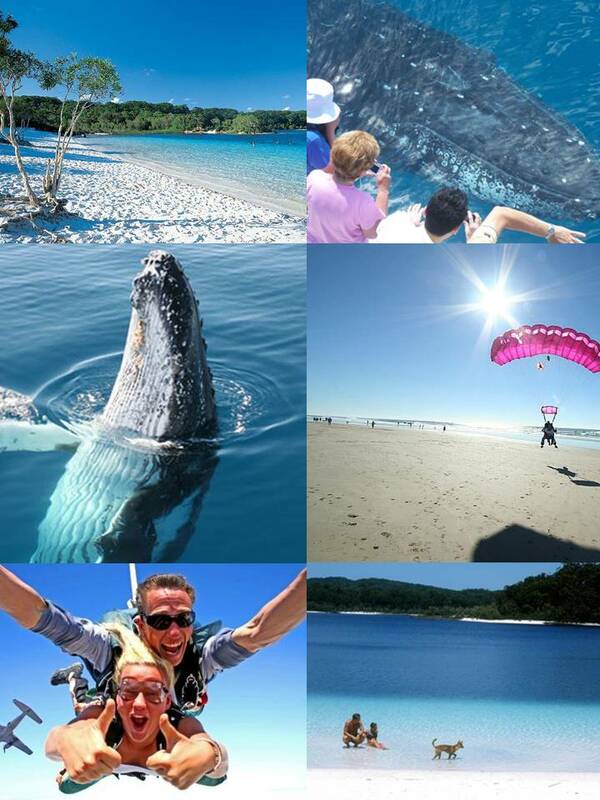 Fraser Island, Skydiving, Whale Watching….. Don’t leave it until your last week. Don’t forget to book your weekend travel early, as the busy season is now here. Go and see the friendly TRIBAL TRAVEL staff to avoid missing out. Make sure you don’t go home without seeing some of the fantastic things that are on offer from Noosa. SKYDIVE – Fall from 14 000ft for an adrenalin pumping 60 Seconds of Freefall (time stands still) reaching over 230 Kilometers Per Hour. Finally landing Barefooted right on the beach. WHALE WATCHING – Get within touching distance of the worlds largest mammals. Witness the newly born babies playing in the calm waters of Hervey Bay. On Monday a male model search was on! The competition was tough with all our gorgeous posers on the catwalk strutting their stuff! So I guess you’re wondering who won? Of course no other than the ‘Mesmorizing Misha’. I would like to talk about my experience at Global Village Noosa. I had the time of my life in this small and charming city. I had so much fun, made lots of friends from everywhere and enjoyed every single day! The Cambridge course was very important for me. I would advise everyone to take this course. Now, I’m much more confident with my English. I will have just perfect memories and funny stories about Noosa and GV. And I will never forget everyone that I met here. Thanks GV for all your support and for this great time that I had at GV Noosa! I will never forget it! I had the best time ever!! When I first went into the Cambridge Class (FCE), I was a little bit afraid, because I knew this course was really difficult. 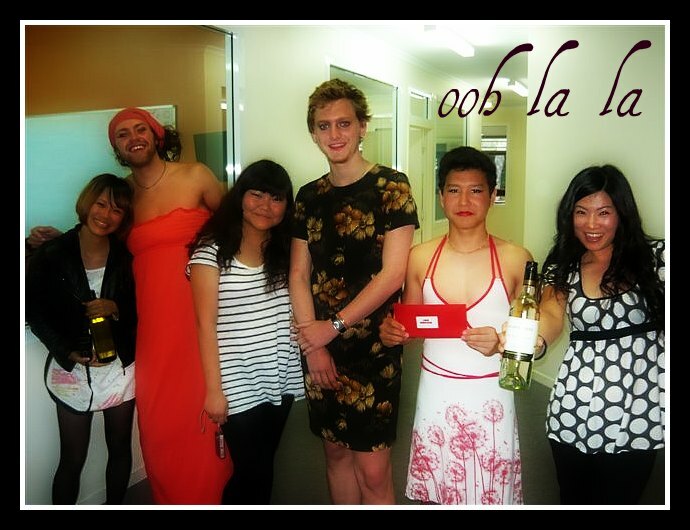 I will never forgot the first day when I realised there was only one Taiwanese and that was me. I was shocked. I thought if I don’t understand what the teacher says or what my classmates say it will be a really big problem for me. After two weeks, I still thought this course was very tough but solid, you could learn a lot from it. On the other hand, teacher Sharon was always kind and patient for every student. She never said NO or rejected the answer to any questions from us. She always smiled and helped us to find the best answer. Even though I was the only Taiwanese student in the class, all of my classmates were really friendly. Moreover we had a cooking night every Thursday, it was really nice and interesting, because we came from different countries. If we wanted to communicate with each other, we had to speak English not our own language. This cooking time meant not only could you eat different kinds of food but also improve your English a lot. This class was the most wonderful class I have ever had. I love my classmates, teacher and everything that happened in the class. I think I will really miss them. Taking the FCE course has meant for me spending time with great people from different countries such Korea, Switzerland, Taiwan and Brazil. It has been so interesting having a conversation with someone who comes from a different culture and speaks a completely different language than me. I could see that there were many similarities and differences between us, but despite the differences we get on very well. As a group we set up a cooking night as an activity that took place every week, in which we cooked meals from the different countries that we came from. 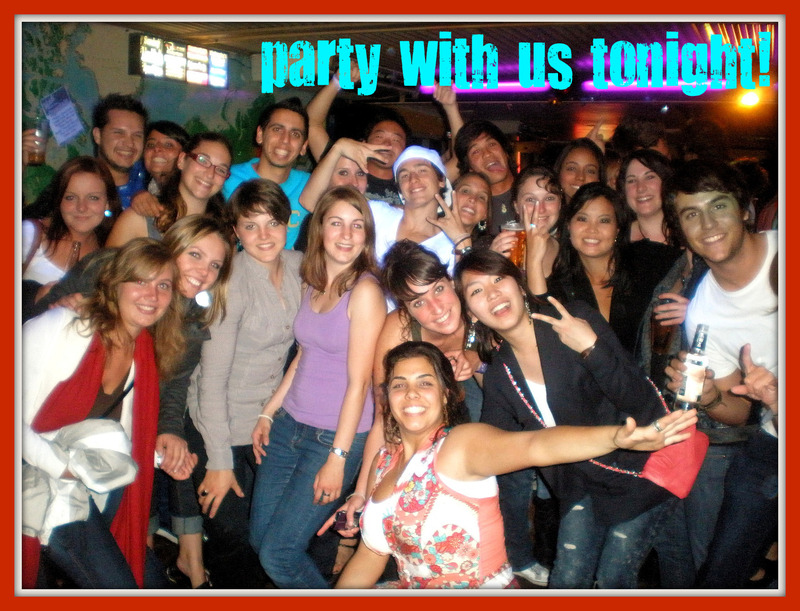 That allowed us to know more about other cultures and made us get closer as a group. Even though the FCE course is more intensive than the General English, Sharon, our teacher, made us have a fun time, doing some games and having lollies as a prize! I think I have learned a lot during these weeks and I feel my English has improved. The FCE course is so important for the people that are taking the exam, but even if you don’t take the exam, like me, I’d totally recommend taking this course. Brisbane Weekend Getaway Only $99! GV Noosa and Sunshine Coast have organised a getaway to spend the weekend in Brisbane to see the second biggest firework display in Australia! 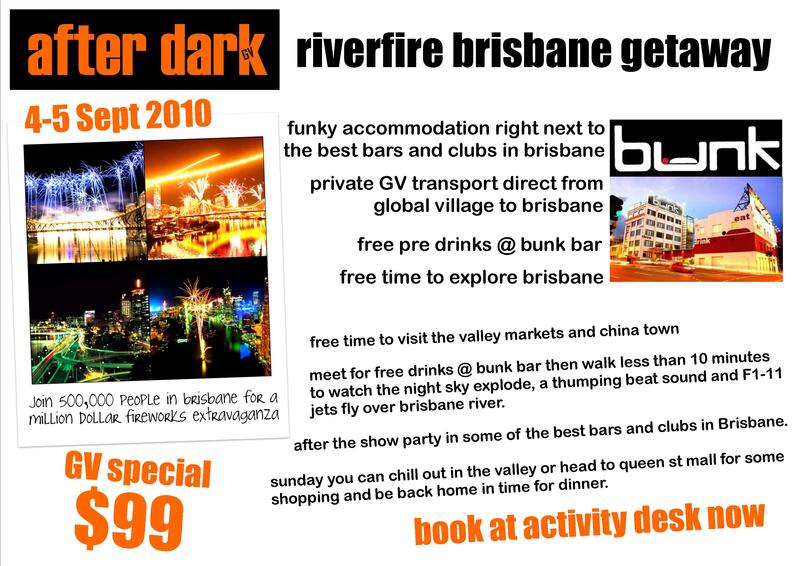 Get picked up in a personal GV bus that will take us straight to Brisbane for a weekend of fun and fireworks. Stay in the funkiest backpacker in Australia that is located only 150 metres from the Storey Bridge where the main fireworks will come to life. The rooms will only have GV students and are equipped with their own toilet and bathroom so no sharing with strangers! You will have free time on Saturday and Sunday to explore Brisbane and be back home in time for dinner on Sunday. BOOK NOW. LIMITED PLACES ON THE BUS! All students with a Working Visa require a tax file number to work in Australia. Please bring your passport to the activity desk to apply for one. Mature minded person within the food industry. Experience required and able to work weekends. Required for the beachfront bistro. Experienced, reliable, well presented and available to work weekends, nights and public holidays. Must be hardworking, reliable and available for 7 day week rotational roster. Experience preferred. Fun attitude and able to work in a team environment. Must have passion for food, pride in your work, good team skills and able to work under pressure. Fun environment, friendly crew, waterfront location. Working nights and weekends. 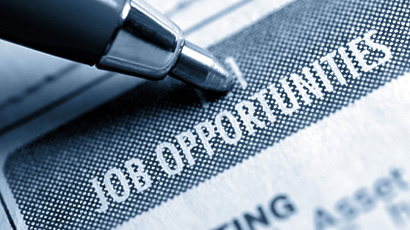 Part time position with a view to full-time. Learn all aspects of running a bowling centre including maintenance of machines. Hard working, enthusiastic, work with qualified chefs. 30hrs a week on 7 day roster. No night or split shifts. Experienced and energetic wait person and an experienced breakfast chef to join our team. Casual positions. Days only including weekends. GV Noosa students celebrated birthdays in August today. Students were introduced to fairy bread today as part of the birthday party for students born in August. 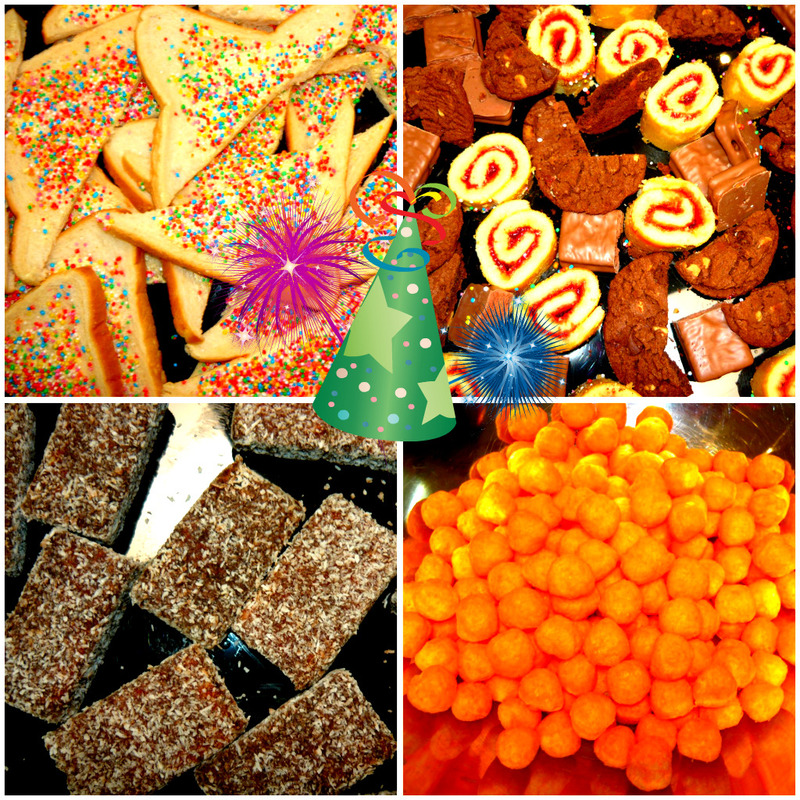 The fairy bread was accompanied with Aussie lamingtons, tim tams, jam rolls, cheesy balls and a mud chocolate birthday cake decorated with sparklers. Happy Birthday to all students born in August! GV Noosa was transformed into a funky club for the student party on Friday night. On Friday night Over 130 students converged on GV Noosa to celebrate Friday 13th. Although the day is meant to be unlucky, it seemed to be lucky for the students as they received a free BBQ, drinks and glow sticks. 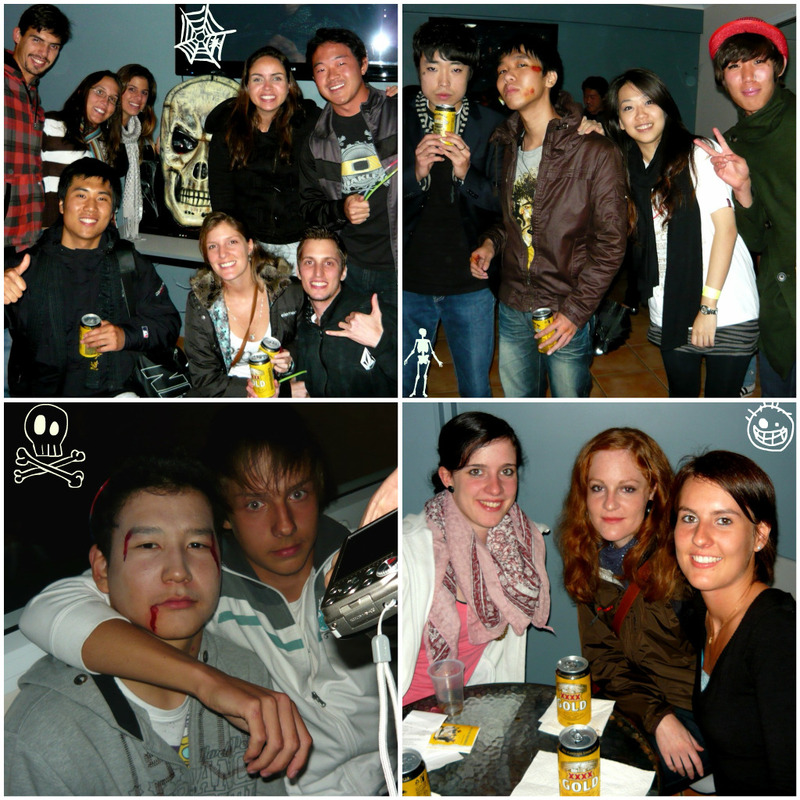 Students were dressed up in various scary outfits including a mummy, clockwork orange, witch, zombie and many more. They all had a great time and left in good ghosts… I mean good spirits! If anyone has pictures of the night can you please post them on the GV Noosa facebook group. The new round of exam preparation courses will start on 13th September. PET– suitable for students wanting an intensive intermediate level exam preparation course. Excellent foundation for future FCE study. 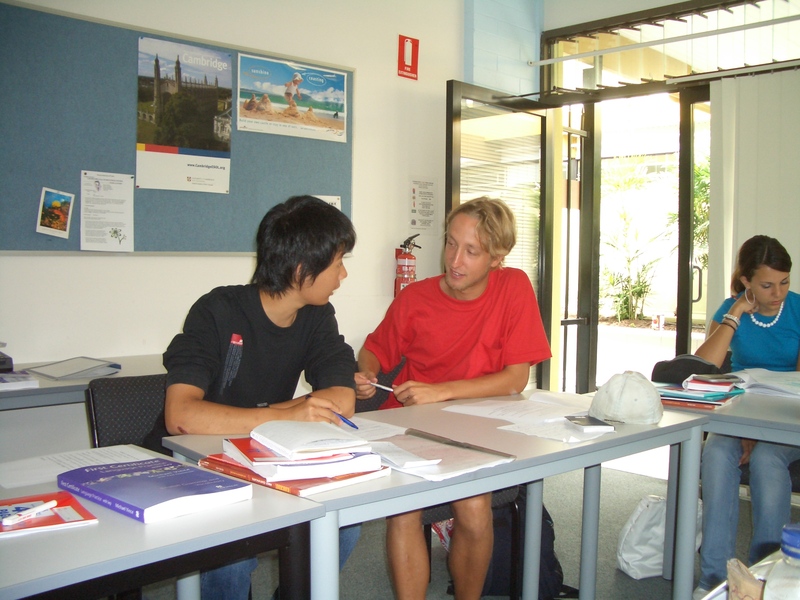 FCE suitable for students at upper intermediate level wanting an intensive exam preparation course and a certificate that is recognised by TAFE colleges and the business industry. CAE– suitable for advanced level students wanting an intensive exam preparation course. CAE is accepted by many universities here in Australia and in Europe for under graduate entrance. CPE– suitable for students who have passed the advanced level. Proficiency level is the highest level Cambridge exam and will give you an advantage in securing a job where English is a pre requisite. BEC Vsuitable for upper intermediate and above students wanting a business English certificate that is recognised by business and corporations around the world. Entry to all of these courses is subject to passing a pre test. There are only a few places left so if you are intersted you can sign up on the student notice board. Pre testing will be done on 1st September. External students can send pre tests to the Director of Studies by emailing the college on info@englishcollegenoosa.com attention Becky Cantor. 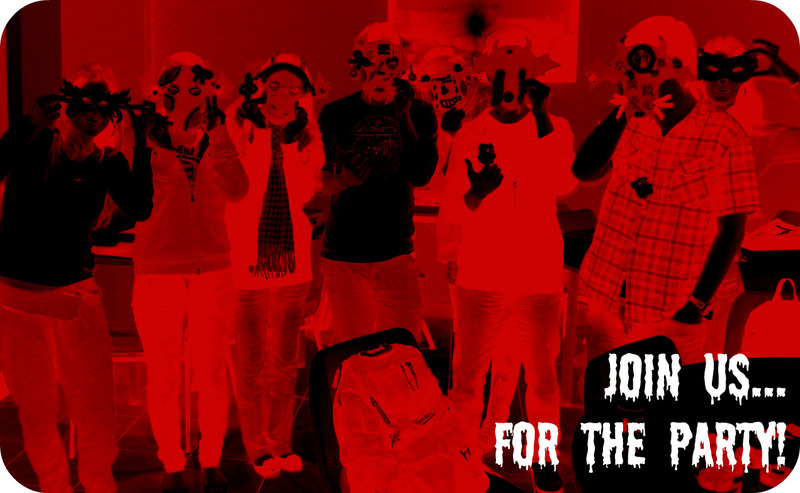 Dress up scary and join us 7pm – 9pm at GV Noosa for free BBQ and drinks! Not only will you get a free BBQ and drinks, Tribal Travel will also be giving away a whale watching experience to a lucky GV student tonight! It will be a fun and social night so don’t forget to dress up and join in the scary fun! Cindy will be handing out vouchers for free pizza, beer and glow sticks tomorrow during lunchtime for the Glow Party at Irish Murphy’s. 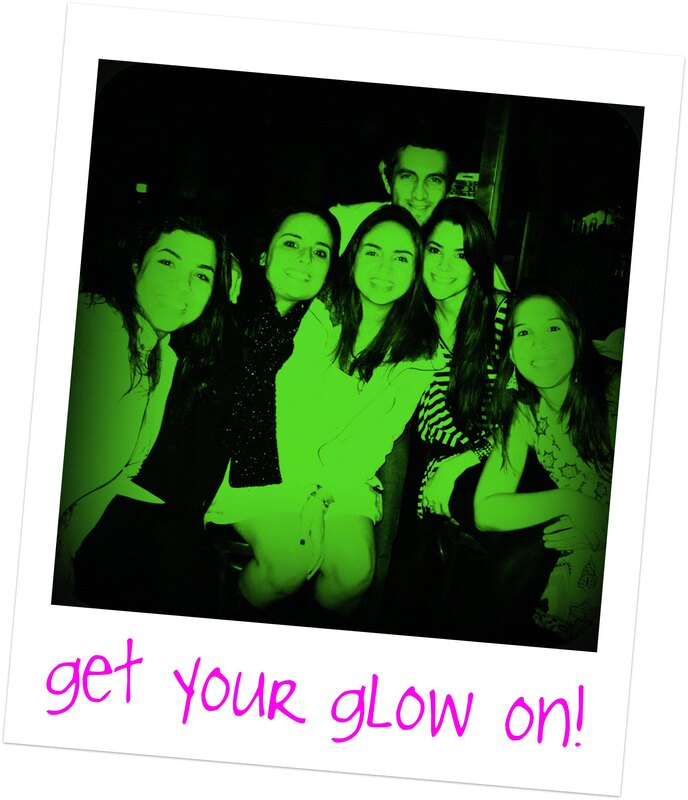 Join us for a glowing time at Irish Murphy’s on Thursday night. 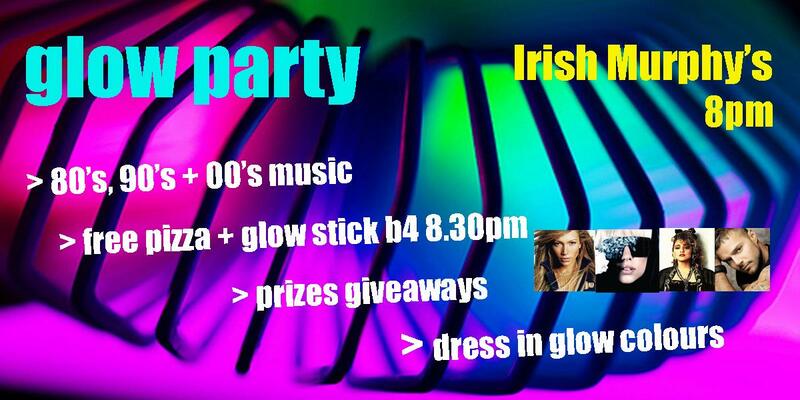 Enjoy tunes from the 80s, 90’s and now plus free pizza, beer and glow stick if you come before 8.30pm. There will be great prize giveaways, retro video games and pool table to keep you amused all night! Don’t forget to dress in bright and glowing colours. See you there! Rain, Rain Go Away… GV Noosa Wants To Play! 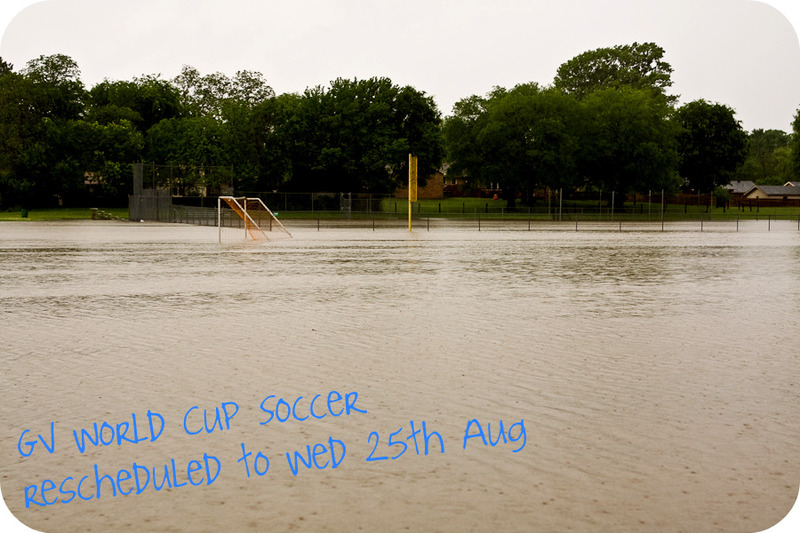 Due to rain we will have to reschedule our GV World Cup Soccer game against Sunshine Coast till Wednesday 25th August 2010. Although both teams have been practicing hard, due to wet weather we will have to reschedule our game to Wednesday 25th August. The GV Shield will stay at the Noosa campus another two weeks. We hope on the 25th August that the sky is blue, the grounds are dry, the teams bring their game and the pizza and soft drink arrive after the game to celebrate what has been a game within itself to schedule this competition. Fingers crossed that third time is truly a charm and the game will finally be played! 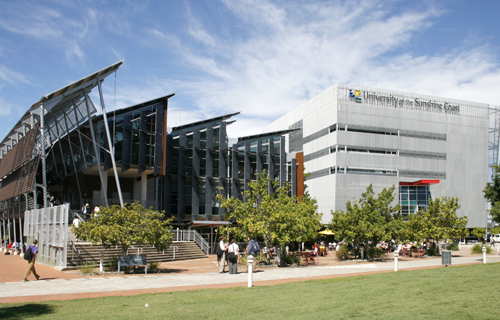 Open Day at the University of the Sunshine Coast is held in Sippy Downs this Sunday 15th August from 10 am – 3 pm. 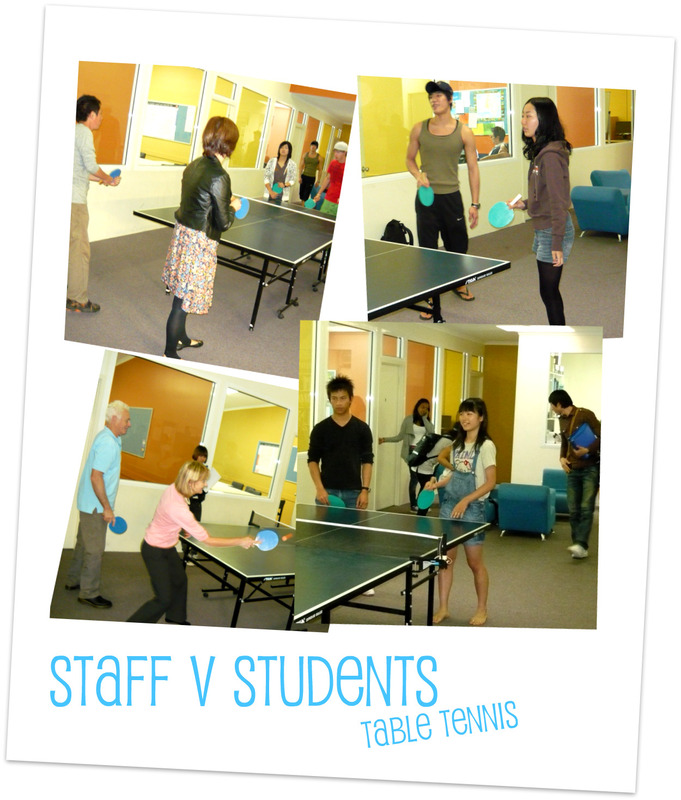 The students battled the staff today in 10 intense games of table tennis. Students were lining up to put their name on the list for a chance to play table tennis with the GV Noosa staff. Jasmine and Cindy started off strong but were beaten by Misha and Peter and Rocco and Stephan. 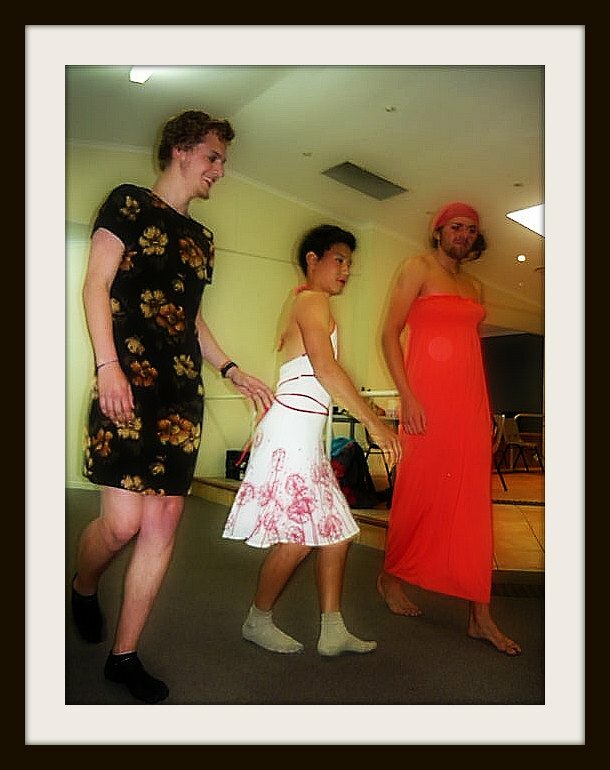 Bec and Phil attempted to redeem the staff but were also beaten by Youn and Mamoru and Alexis and Pierre. With staff at a loss of 4 – 0, they required some stroke of luck. That was when the Izumisano teachers decided to step up and thrashed Moon and Atsushi, Satoshi and Ragi, Jack and Mai and Ricky and Sayuri bringing the score to 4 -5. The staff had now caught up to the students but nonetheless were beaten in the last game by Kanako and Ricky who had the table tennis god on their side. The result ended up 4 -6 with the students just beating the staff. GV Noosa and GV Sunshine Coast will battle it out for the GV Shield on Wednesday at Sunshine Beach High School oval. 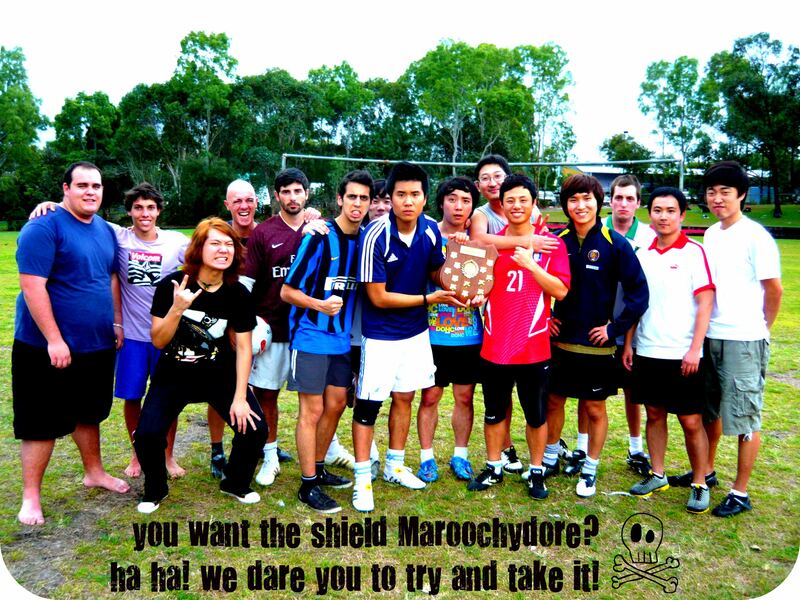 Come and cheer on the GV Noosa soccer team on Wednesday as they play to defend their title of the GV Shield against GV Sunshine Coast (Maroochydore). We will be meeting in the courtyard at 2pm and walking to Sunshine Beach High School which is around 15 minutes walk from the GV campus. The game starts at 3.30pm and there will be free pizza and soft drink for students after the game. Please write your name on the activity sheet on the noticeboard if you would like to join us. Today students were taught how to give a massage by masseuse Liz Sargent. Liz showed students various massage techniques which they then performed on each other. The students were very keen to be the examples as they got a free massage from Liz. In an hour they knew how to give a great basic head, foot and shoulder massage to friends and family. 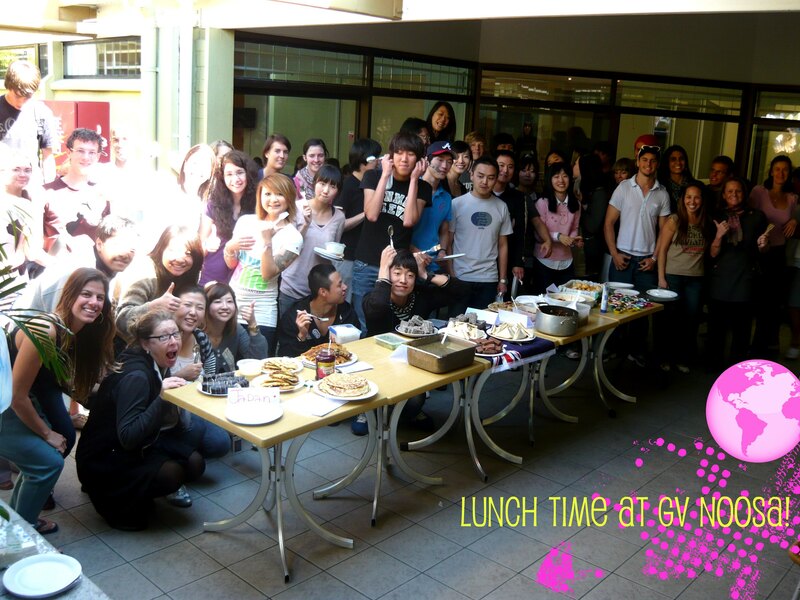 Students cooked traditional food from their country for lunch today as part of a cultural week of English studies. Traditional food from Japan, South America, Russia, Switzerland, Korea, Taiwan, Europe and Australia was on the menu for lunch in the courtyard today. 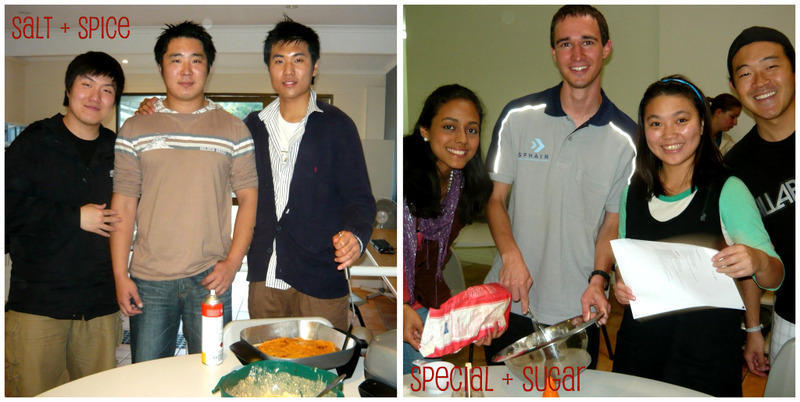 Students had prepared a variety of dishes as well as the teachers who prepared Australian vegemite sandwiches and lamingtons. Everyone enjoyed tasting the food and having lunch together on a beautiful Friday afternoon. We always love to hear from our students. Thank you Ana for the lovely email below. I want to say thanks to the school, you and my CAE teacher, Annette for everything that you`ve done for me and my friends! Because of all your support, I learned a lot and was able to pass the exam! During all my months in Noosa, everything at school worked, and everytime I had problems, it was easy to solve them with the help of staff. Noosa is magical, such a cute little city, I already miss it so much.To be back in Rio with my family and friends is also nice, but nothing is like there! It was like I was living a dream of almost 6 months. Keep the good work because I`m sure that everyone thinks the same way as me! WE LOVE NOOSA AND GV-NOOSA! 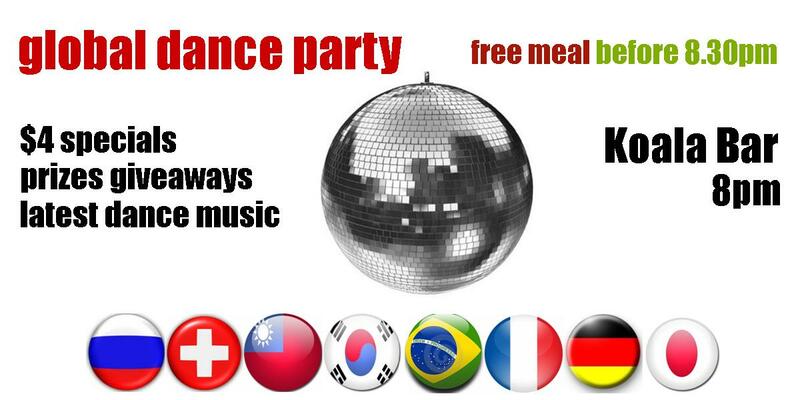 Join us tonight for a free dinner, cheap drinks and all the dance hits you can shake your bon bon to for after dark GV student night. 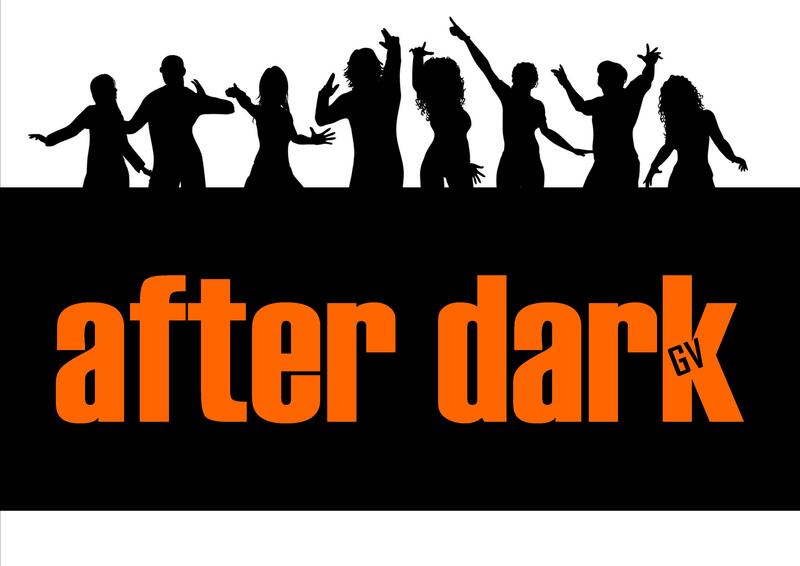 Global Dance Party is the first event for after dark GV in August. 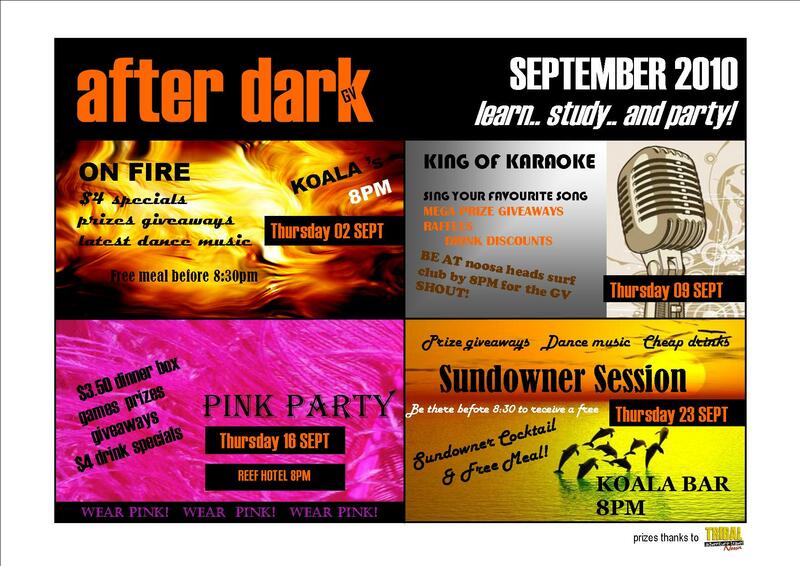 GV students will receive a free dinner from the Koala Bar kitchen if you come before 8.30pm. You will also receive a free drink from Cindy to wash down your free dinner. There is a pool table, video games, lots of locals and backpackers to talk to, great music and a dance floor to get loose on. Remember to bring your ID and your good vibes. See you tonight! Have You Joined Our Group On Facebook Yet? 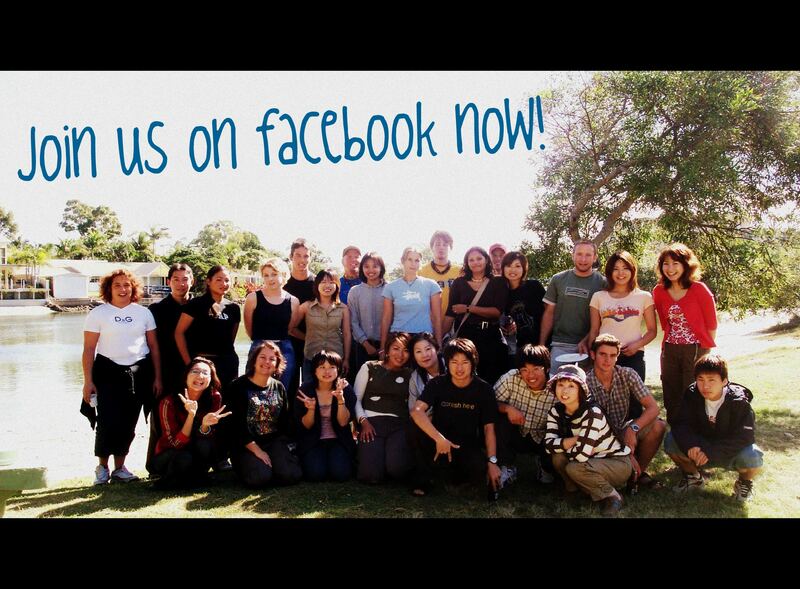 If you are on Facebook then don’t forget to join our GV Noosa group! Click on the Facebook button now and join our GV Noosa group. 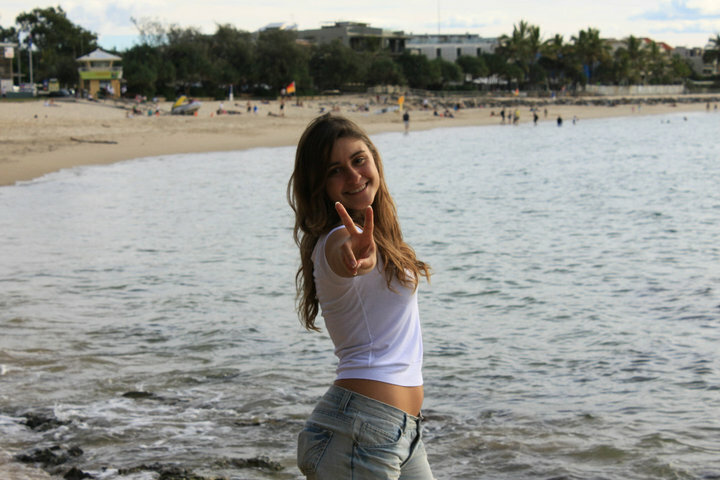 Post photos of your memories in Noosa and Australia for past and present students to see and keep in touch with the students you did meet while you were here. You can also leave comments and tips for future students who will be joining us at GV Noosa and let them know how great it is! If you are interested in any work that requires you to be serving alcohol (bar, restaurant catering, cafe work), you must have an RSA certificate. An RSA is a responsible service of alcohol certificate and teaches you the rules and regulations of providing customers alcohol. There is a special of $15 off the normal price so you only pay $75 in August! Must be well presented and enthusiastic. Passion for food and wine. Experienced with professional and attentive service. 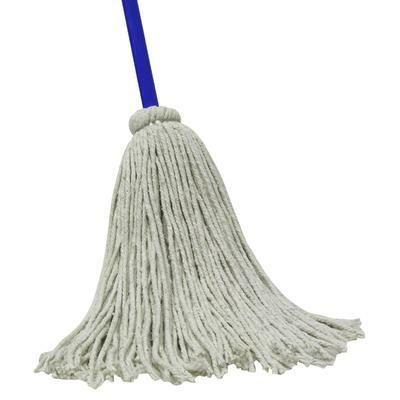 Cleaning guest rooms and public areas. Attention to detail and experience is essential in a busy environment. RSA required. Morning and evening shifts. Organised, enjoy working with the public, friendly courteous and efficient. Own transport and ABN. Reliable, attention to detail. Training provided. Well known restaurant seeking friendly, well presented and reliable staff. Must have an RSA and preferably experience as a waiter/waitress. Looking for fun people who enjoy their work. Great team and environment. Must be able to work a variety of shifts including day, evening and weekends. 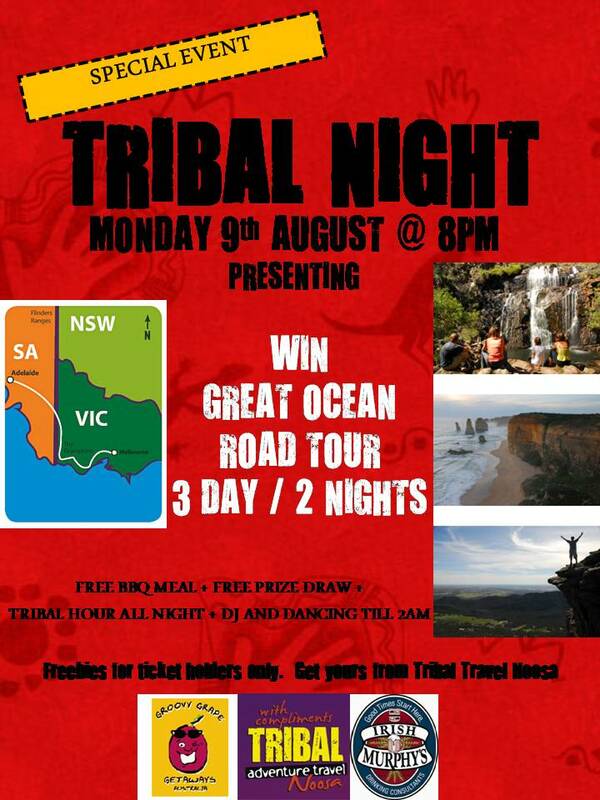 Next Monday night, 9th August, you have a chance to win a 3 day 2 nights Great Ocean Road and Grampians tour with Groovy Grape at the legendary Tribal Night. The prize includes 2 nights accommodation, all your meals and you can go from Melbourne – Adelaide, or Adelaide to Melbourne…. the choice is yours! The tour is worth $355, but all you will have to do is be at Tribal Night for a chance to win…. GOOD LUCK! 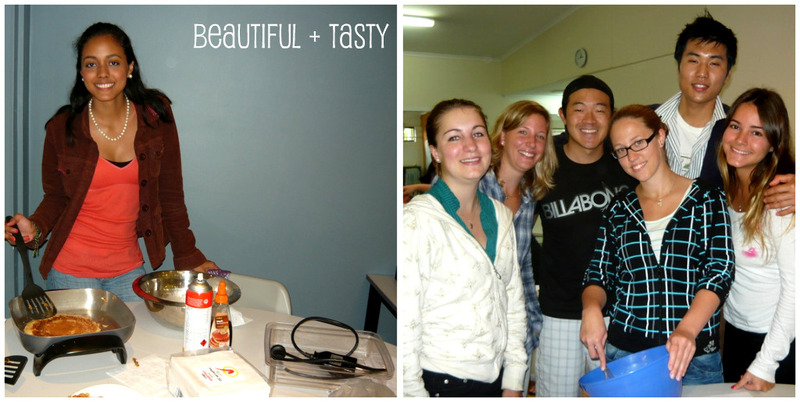 The FCE class went pancake crazy last week for their cooking class. 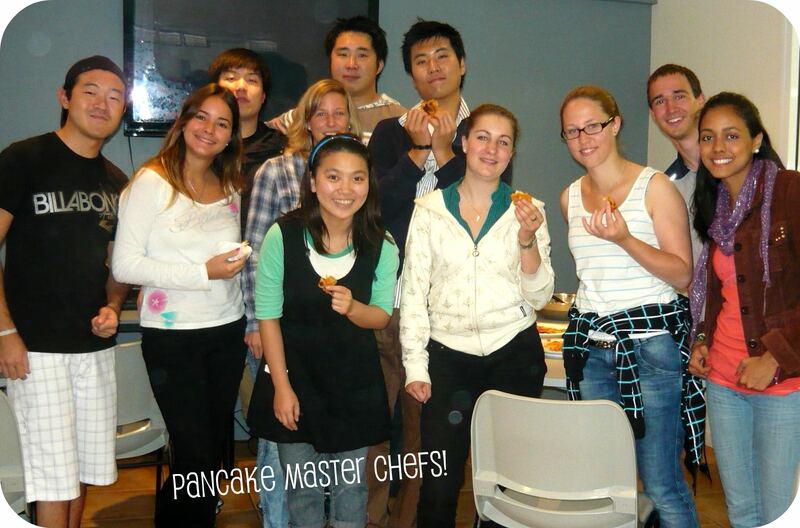 Last week we had a cooking class for making pancakes and Korean pancake. We had the ingredient and we had to follow a recipe to make our own pancakes. The most interesting thing was that every single pancake was different in taste and size. Dennis cooked a traditional Korean pancake which looked and tasted very different from the Australian pancake. It was salty and spicy. Simon cooked a ‘special’ pancake. It was massive and with an irregular form. Ronnie was supposed to make a perfect cream sauce for us but he put too much sugar in it and ruined it. Finally Alejandra cooked the most beautiful and tasty pancake for all the class, even though it was the first time that she had cooked pancakes. While we were cooking Fernanda played the banana pancake song so we enjoyed the whole experience a lot!